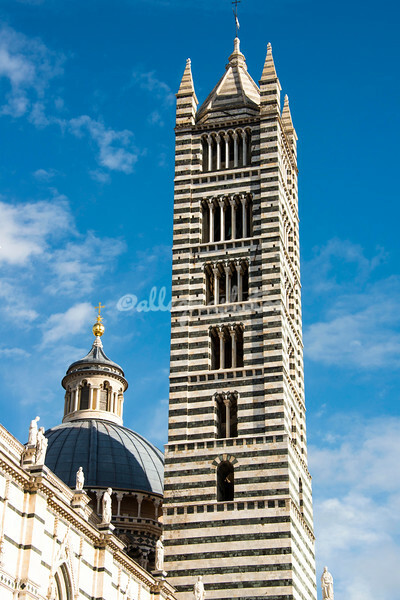 The bell tower on The Duomo, Siena, Tuscany. Built between 1136 and 1382, this Romanesque-Gothic structure is considered to be one of Italy's greatest cathedrals. Among the Duomo's treasures is the fine inlaid marble floor by Pinturicchio and other artists. The floor is only visible for a few weeks every year in September and October. The rest of the year it is covered to protect it.